Any good piece of malware eventually has to phone home. What good is collecting your dirty little secrets if it can’t capitalize on them? This article will help demonstrate how a little bit of forensic analysis can help you visualize where your data is going. Web site access logs are often used for web analytics. These logs can be sliced and diced to determine where visitors are coming from, when they’re visiting, what they’re looking at, and what browsers they’re using. That’s all very useful. Malware doesn’t want to be so useful; it wants to be as stealthy and unobtrusive as possible. Malware is a pickpocket. After malware is done logging your keystrokes, gathering your credentials, or collecting whatever it wants to collect, it needs to do something with that data. Many times, it’s a quick TCP connection home. Your firewall won’t catch the connection, because the malware makes a legitimate HTTP request. Your DLP won’t catch it, because the malware is smart and uses SSL to encrypt the outgoing traffic. While you may not be able to catch it red-handed, you can still do something about it after the fact. You can extract IP addresses from your router logs (routers, proxies, wherever you capture this information) and analyze outbound connections and visualize–using maps!–where your data is going. Why maps? Because maps get the attention of your organization’s managers. There’s the easy way and there’s the hard way. The easy way involves some manual processes that I’ll use to demonstrate the process; the hard way involves automating and customizing these processes to suit your needs. I’ll go over the easy way and leave the hard way up to you. 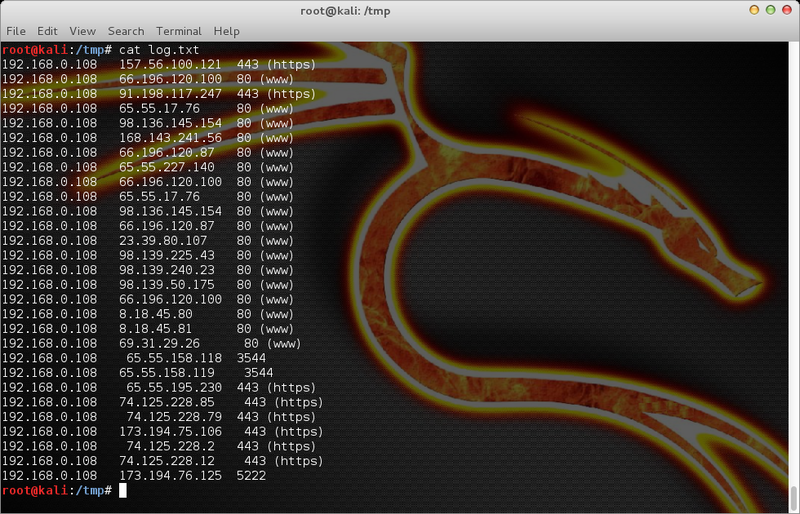 Extract IP addresses from your logs. Sit back and enjoy the admiration of your colleagues and managers. In this case, the router displays the source IP address (where the request came from), the destination IP address (where the request is going), and the port (what the destination application is). Here’s where things get fun. Now that we have the address and port information formatted correctly, we’ll use BatchGeo to visualize the data. 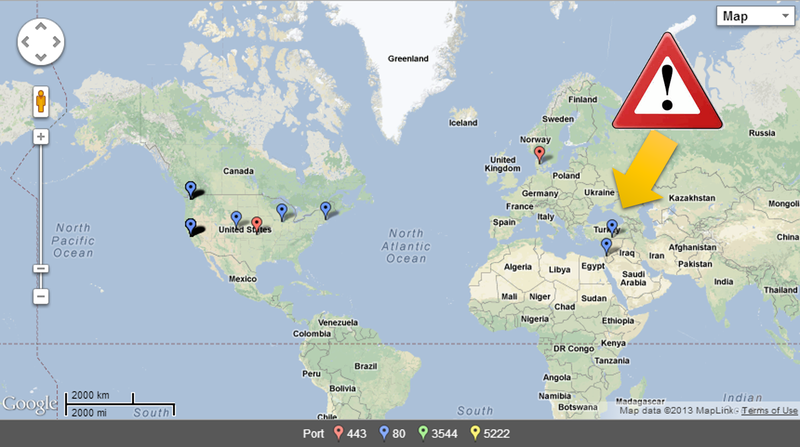 This site will geocode the IP address locations and plot each one on a map. 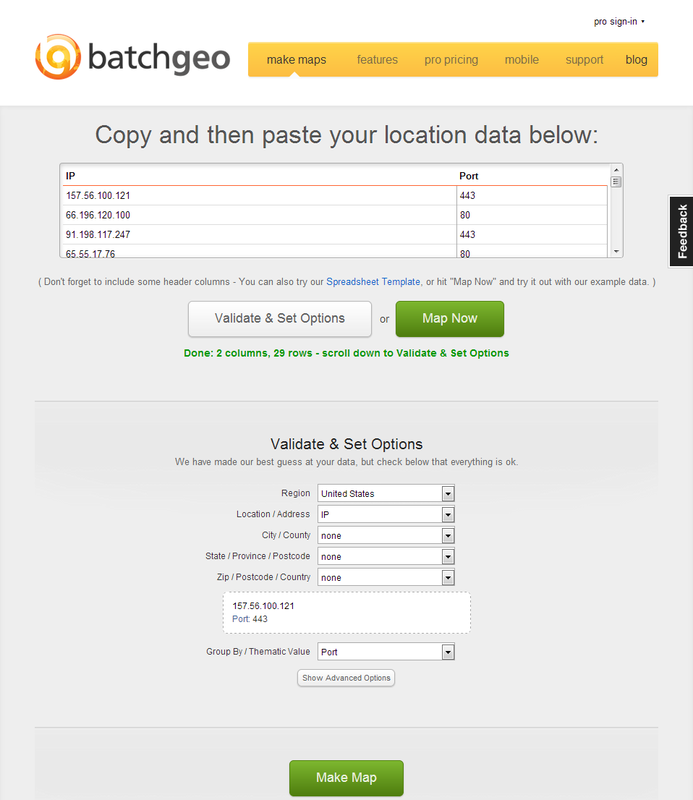 We simply copy the IP and port data and then paste it into BatchGeo’s interface. Using its options, we will also color-code each address by port, thereby giving us an at-a-glance representation of each service/application. Add a map marker attribute to display IP address that originated the request. 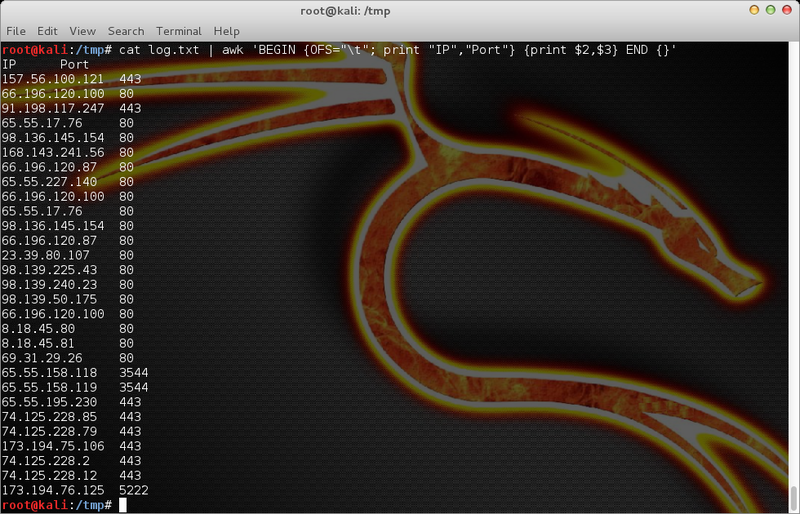 Parse the output of netstat to visualize active connections and display the process name for each connection. Create color groups of outbound connections by time to see where after-hours traffic is going. Perform the same analysis on your web server access logs. Remember, this is the “easy” way, in that I’m doing everything here manually to demonstrate the process and capabilities. There are ways to automate this, obviously. BatchGeo offers a friendly way to quickly visualize the data. For greater flexibility, you could use a service like http://freegeoip.net to look up the geocodes of IP addresses and leverage the Google Maps API (http://maps.google.com/maps/api) to create your own map markers. Rob Barnes is a software security architect specializing in web application security, pen testing, risk management, and threat modeling. He holds CISSP, CSSLP, and CEH certifications and has a master's degree in information security. His passion is helping customers understand and manage risk by framing security in the context of business impact. I appreciate your work. nice and knowledgeable article.